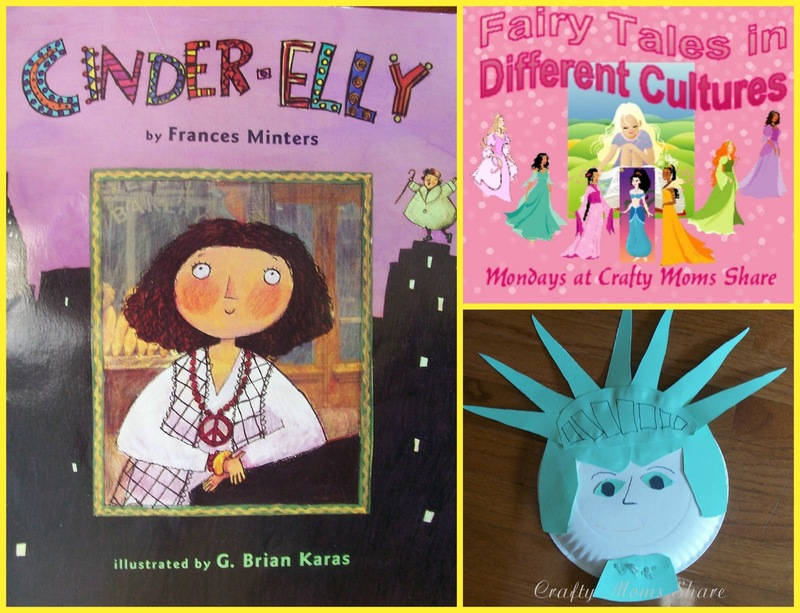 This week we are going to focus on an American Cinderella story since it is the week of July Fourth. I chose Cinder-Elly by Frances Minters. 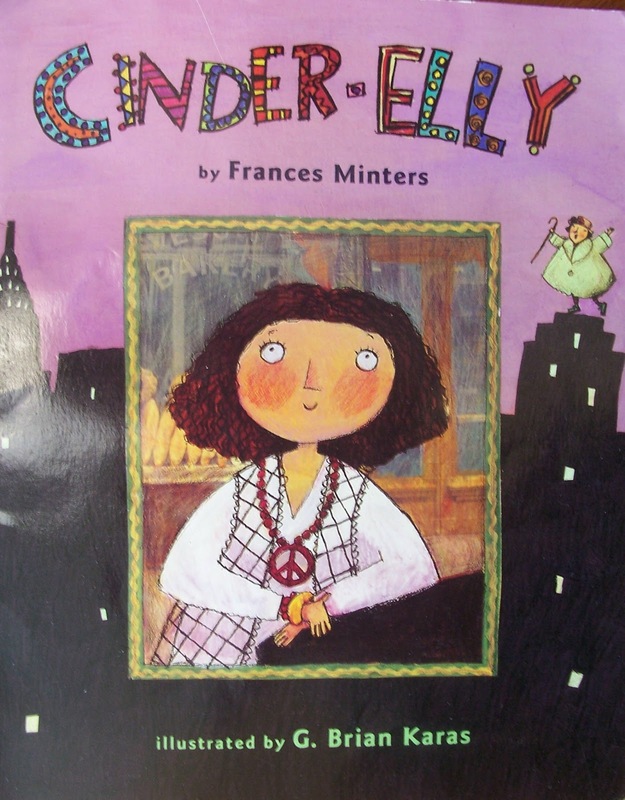 This is a modern version of the story with Cinder-elly living in New York City. I thought this would be the perfect time to explore the Statue of Liberty, after all we are celebrating America's birthday this week. 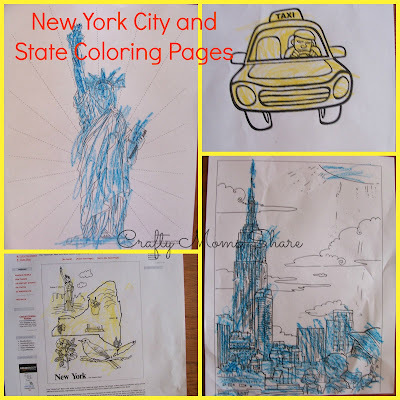 First a bit about New York City. New York City is the most populous city in the United States. It is also the home to the United Nations Headquarters and is described as the cultural capital of the world. As many as 800 languages are spoken in New York City making it the most linguistically diverse city in the world. It consists of five boroughs which were consolidated into one city in 1898. It traces its roots to a Dutch trading post founded in 1624 and named New Amsterdam in 1626. The city and its surroundings were under British control in 1664 and was renamed New York after King Charles II granted the land to his brother the Duke of York. New York served as the capital of the United States from 1785 to 1790. Since 1916, Nathan's Hot Dog Eating Contest in Coney Island, Brooklyn, New York City supposedly started as a way to settle a dispute among four immigrants as to who was the most patriotic. Since Lady Liberty represents democracy and freedom and of the United States, I thought it was the appropriate thing to honor from New York City this week. 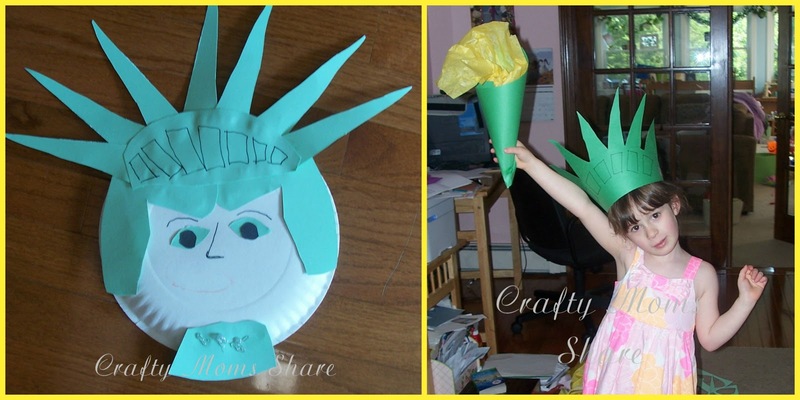 The first craft we did was a paper plate craft. 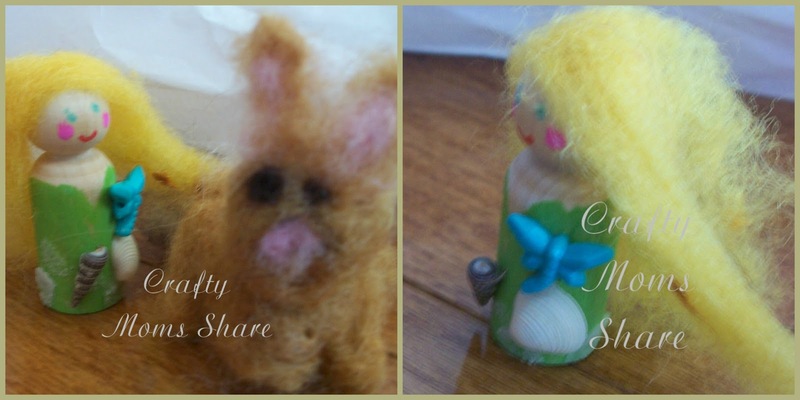 The pattern and instructions are from My Shae Noel's packet. Then we also made a torch and a paper crown for Hazel to dress up. Since we only had small green paper, I taped two together, and then added a third one to hide the middle seam. The torch is just a piece of green paper rolled into a cone and a piece of yellow tissue paper stuck inside. I also had Hazel do some coloring pages. We had a discussion of the color of a taxi. Hazel rode in her first taxi on the way home from the airport when we came back from Florida, but of course it was not a typical taxi. Oh, well. 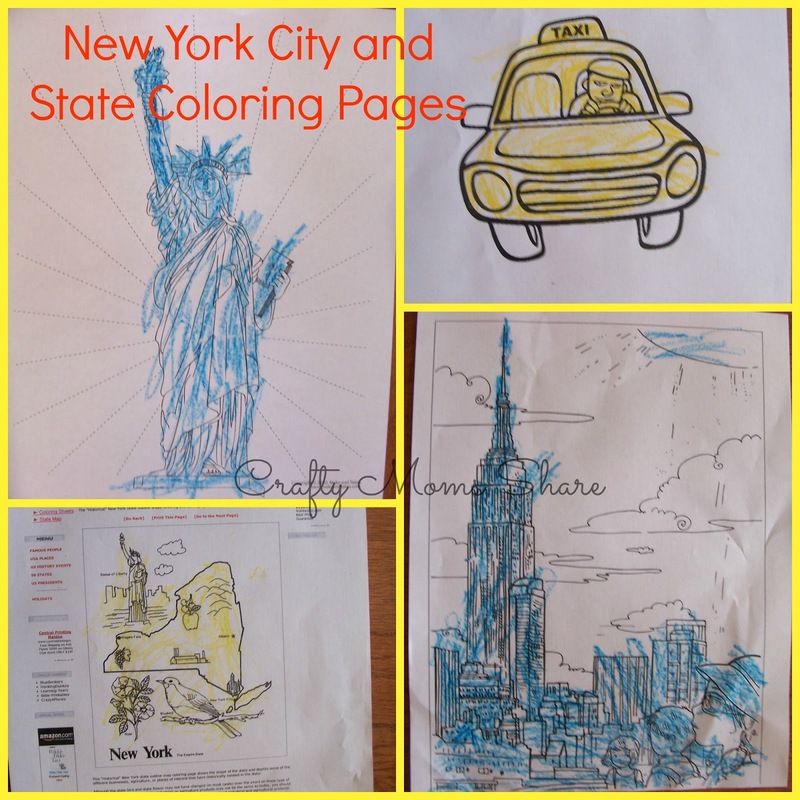 I guess we should have talked about color of the other things she colored, but all the buildings are apparently blue. Now onto our story. The story is written in rhyme and has a cartoonish quality to it. Cinder-Elly lives with her family in New York City. She is the youngest of three girls. Unlike her two sisters, she is kind and neat. She does all the cleaning and even gets her sisters drinks at their request. They however just sit and watch television and play video games and never let Cinder-Elly play. One day all three of them are given tickets to the basketball game. All three want to go, but the two sisters tell Cinder-Elly she cannot go since she is too young and doesn't have clothes to wear, and their mother agrees that she cannot go since there is not enough money to buy three new outfits and since she is the youngest, her sisters should go. The night of the game, the sisters go off to the game and Cinder-Elly stays home. While sweeping the steps, a woman comes and talks to Cinder-Elly. Cindy-Elly says she cannot talk to her since she is a stranger, but the woman says she is her godmother and asks if she remembers her from the last time she saw her when she was two or three. The godmother waves her cane and Cinder-Elly's clothes change. Then she gives her a pair of glass sneakers. Then she changes a garbage can into a bicycle for Cinder-Elly to ride to the game. She warns her that she must be home by ten since the magic will be gone then. Cinder-Elly goes to the game and has a great time watching Prince Charming play. At one point he misses the ball and Cinder-Elly catches it and gives it back to him. After winning the game, he asks if she will go out for pizza after the game. He says he will go shower and do his hair and meet her. She waits until 9:58, but then leaves walking home since the bike is a garbage game. She however loses one of her glass sneakers which Prince finds. He makes up flyers and hangs them all over the place with his number. The sisters see a flyer and call him. He comes over and they of course cannot fit into the sneaker, then Cinder-Elly comes out and tries it on and pulls out the other one. Then the godmother shows up and waves her cane so Cinder-Elly is dressed in her basketball game clothes. 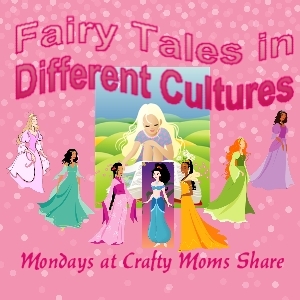 The sisters apologize and Cinder-Elly forgives and everyone lives happily ever after. The other day I was exploring on line and discovered a neat site, Making Friends. 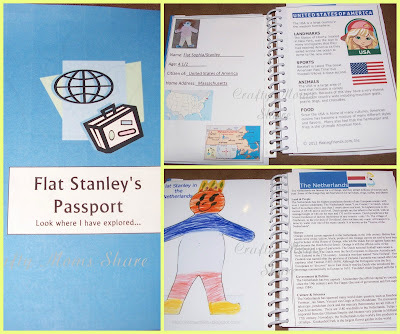 What caught my eye was their Thinking Day Passports. Making Friends sells the passports, but offers free printables of country fact pages. 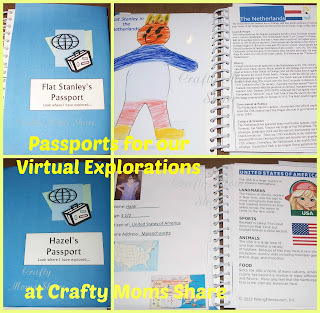 I thought about how neat it would be to make Hazel a passport for all the places we have explored with Around the World in 12 Dishes, Fairy Tales in Different Cultures, and just some of our Multicultural Monday posts. I did not want to spend money on this or at least not much. I also wanted to make a passport for Flat Stanley, so we could keep track of where he goes. I designed a cover for them. If you would like one without a name, it is available here.I found some spiral notebooks at AC Moore on sale for 75 cents each and bought two (well four, but two are for Hazel and her friend). Then I printed out the countries that Making Friends had including the United States since that is where both started out. 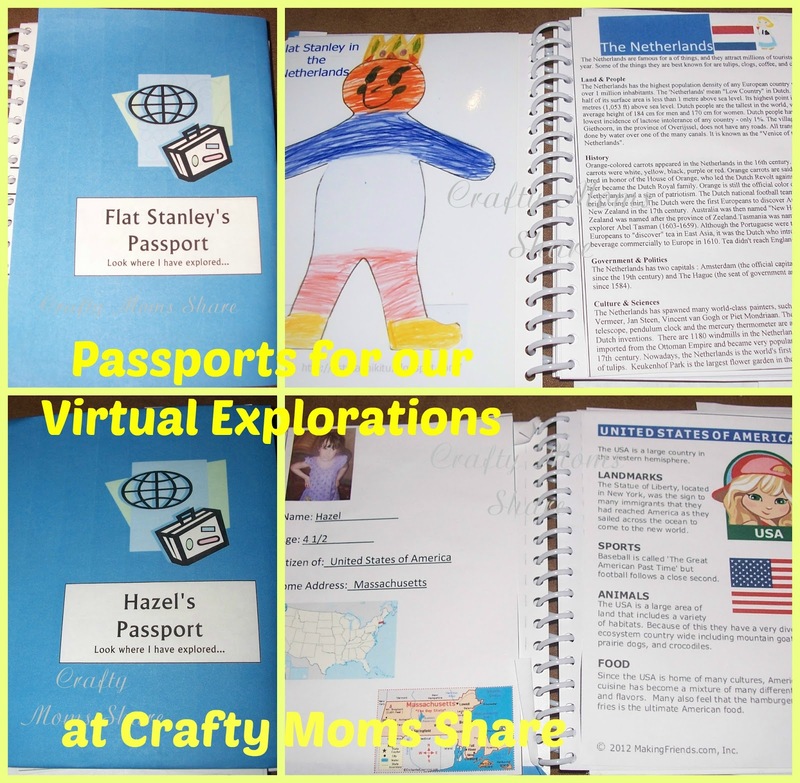 I made an inside cover sheet with their name, picture and such and also made fact cards for Finland and The Netherlands since Making Friends did not have them yet. A blank version of the inside cover and the pages for Finland and The Netherlands are available here. I used Wikipedia and Eupedia as sources for these (and copied much of it from them). 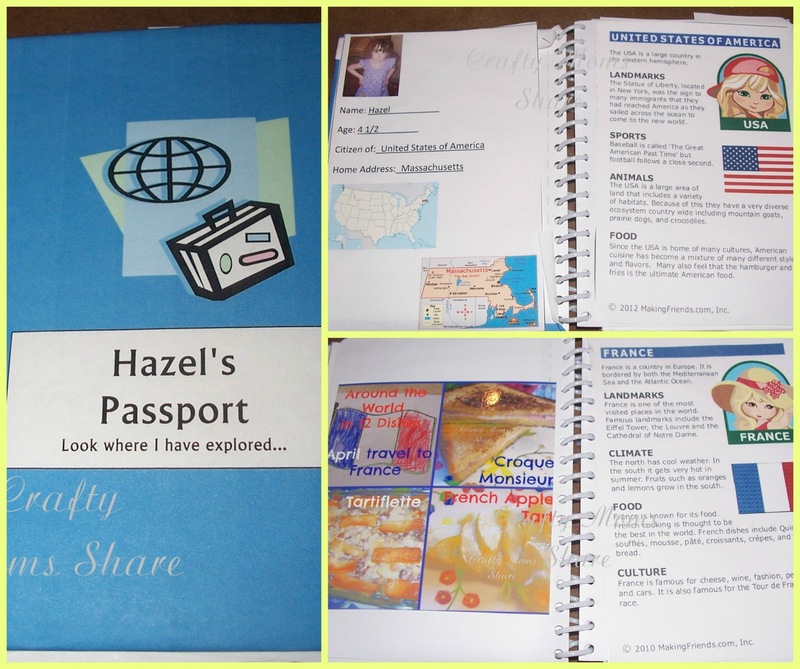 I took pictures of the cover, the traveler information and one country for each passport. I let Hazel glue the pages in so some of them are not very straight. 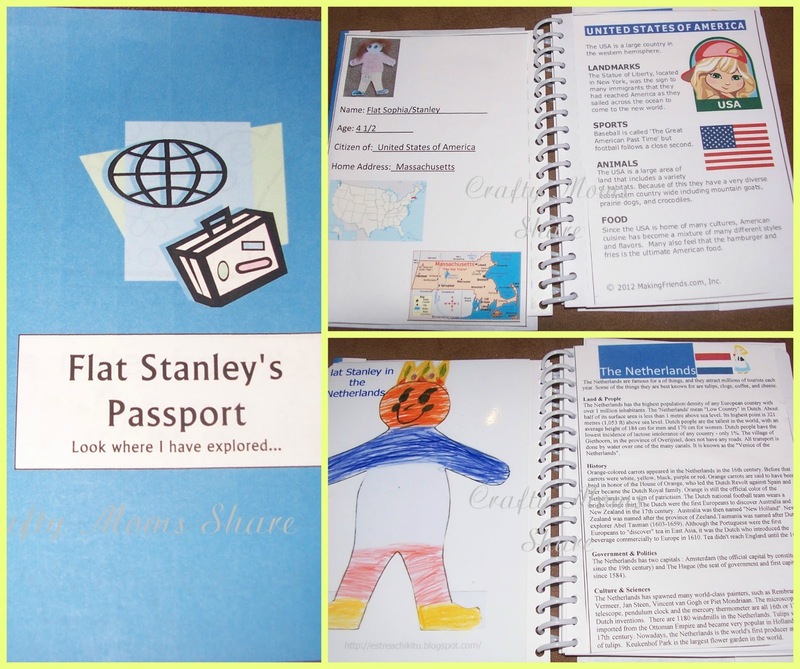 Then I added pictures for each country of the things we have done with them in hers and of Flat Stanley from the country. I think they will be a great place for Hazel to learn even more about each country and to remember what we did when exploring each one. What do you think? Also provided by Glittering Muffins for Around the World in 12 Dishes here is a passport page for Spain this link and for a fun Spain-themed placemat, this link. Here is the Finland passport and the Finland-themed placemat. The France coloring placemat right here and the passport right here. The Ireland coloring placemat right here and the passport right here (the cover for the passport is right here for you!). Wow, where did the week go. I know I feel like I have been on the run all week and in my car all week. The few posts I got up were written last week or at my parents house. Hopefully we can have a restful weekend. Thank you to all the people who shared their amazing ideas with us last week. I have not gotten to visit all of them (the whole being in the car all week), but hope to get to more of them. I hope you will visit them as well. 1) From April's Homemaking: Happy First Day of Summer and Taking a Micro-Hike -- What a neat way to explore outside! 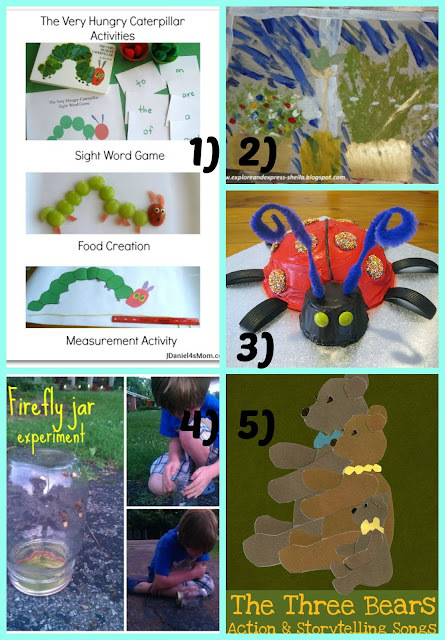 2) From The Gift of Curiosity: 4th of July Montessori Activities -- Many great ideas with printables to get your child learning while celebrating the 4th! 3) From Loads of Fun, Loads of Love: Peter (and Us) in Blueberry Land -- Love using the book and peg dolls to entertain in the car and give them clues as to where they are headed for a fun family day! 4) From The Good Long Road: Our Special Summer Book Nook -- I love that it is an outdoor book nook and the great activities she did to introduce it to her children! 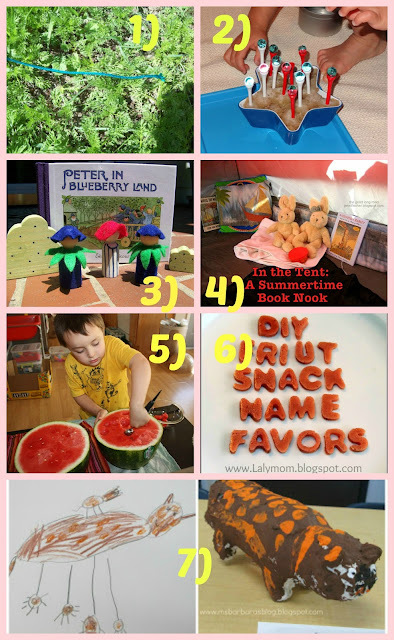 5) From Little Bins for Little Hands: wonderful Watermelon Sensory Play 2 -- I loved that she used a real watermelon for the sensory play!! I know Hazel would love to do this! 6) From Laly Mom: DIY Fruit Snack Name Favors -- What a great idea for a party or for just a fun snack! 7) From For the Children: 3D Recycled Art with a Technology Twist --I love the process for this one! 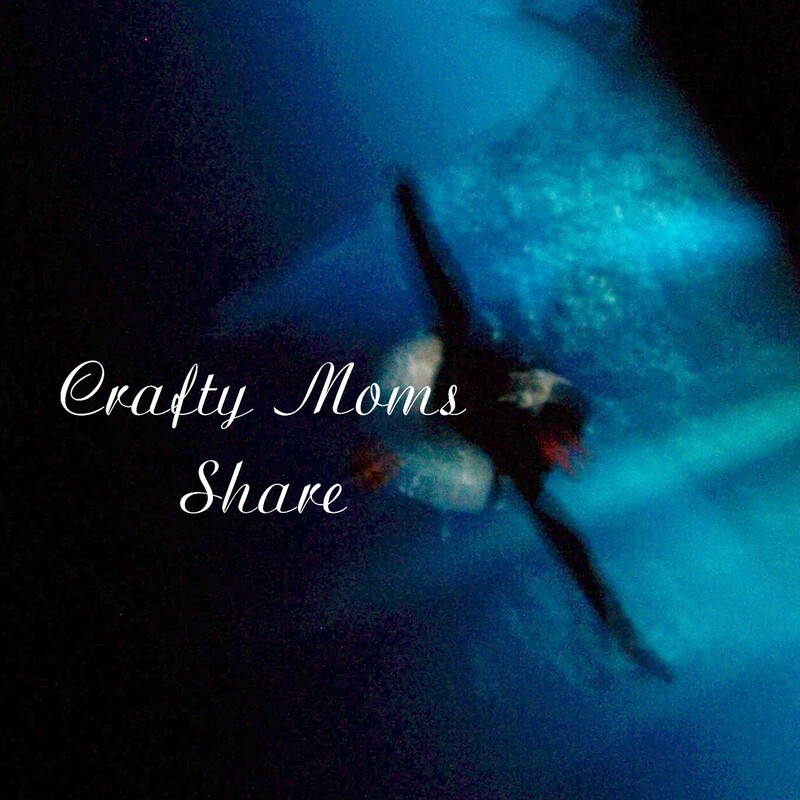 Thank you to everyone who shared last week and two weeks ago!! I hope you will join us and share again!! 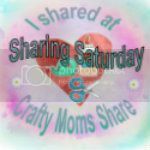 If you are featured here or earlier this week, please feel free to grab a featured button to display proudly on your blog. From Your Hostess: This week we were very busy visiting family. My sister and nephew are up from North Carolina or I should say were up. My nephew will be staying with my parents for about six weeks, but my sister was just dropping him off. We took advantage of their trip north and spent some time with them (plus we went to a family wedding). So I have not been too active on my blog. Sorry!! But to me family is the most important thing. 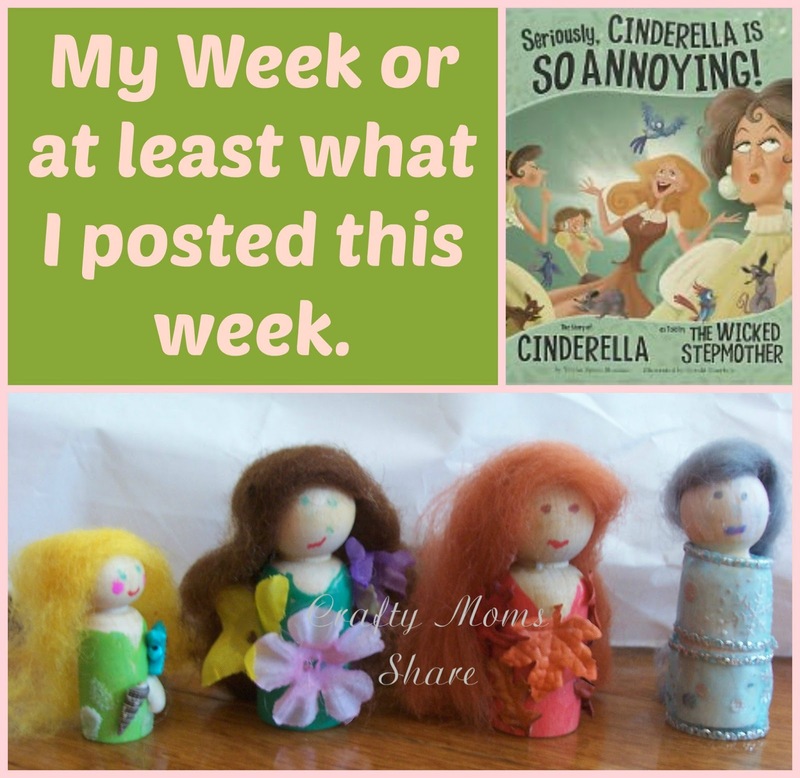 We did share one of Hazel's FAVORITE Cinderella stories which gives the lesson of point of view and we also extended the story of Lady Winter and Sister Spring from Debbie Ouelett's How Robin Saved Spring with Girl Summer and Madam Autumn. 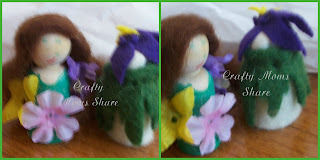 In March I posted about one of our favorite books, How Robin Saved Spring by Debbie Ouelett. One of our goals was to expand on the story to include the other two months. The other night I did this for Hazel and made her some peg dolls to go with them. After reading it to Hazel, she told me I needed to write more, but I am going to share what I have so far with you. Since How Robin Saved Spring dealt with the change from winter to spring, I did not include that (which I have been told I should). In a small house deep in the woods live four very special sisters. Their mother is Mother Earth. Each sister is awake for about one quarter of the year or at least that is how it is suppose to be. You see these sisters have magical powers and they control the weather. They are Lady Winter, Sister Spring, Girl Summer and Madam Autumn. Each loves her time of the year the best. Lady Winter thinks it should be winter all the time and the entire world should always be snow covered and frozen. Sister Spring however loves the awakening she brings the world and all the new life that comes in spring. And all the animals, trees and flower fairies love her and her kindness. Girl Summer is the youngest and tends to like to play and have fun in the summer sun. She does not always take her responsibilities seriously enough. She also tends to like to awaken even when it is not summer. Madam Autumn is good friends with the wind and the tree fairies. 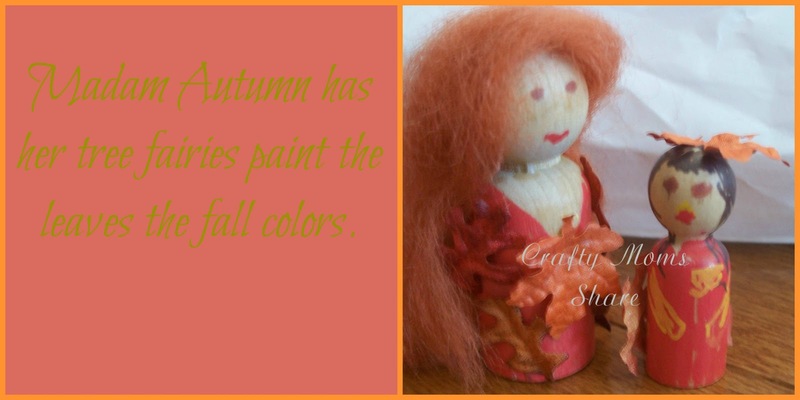 Her friends help her paint the leaves for the fall. Their cottage is rather small. It has four good size bedrooms--one for each of them and then a small living space that includes a sitting area with a fire place and a kitchen. Since only one sister is awake at a time the space does not need to be too large. Outside the house are many trees and plants and flowers. Or at least the flowers and plants can be seen when it is not winter. Now as I mentioned, Girl Summer does not like to stay asleep. Often she wakes up during all of her sisters' seasons. You may notice when she is awake. There will be a warm day in the middle of cold ones. This just means Girl Summer is restless and awake. Her older sister will get her back to sleep and the weather returns to normal. Sister Spring is very calm with her hyperactive little sister. She does not get angry with her when she awakens early--which she always does. She lets her help with the decorating of the spring flowers and the planting season. Plus of course it is also the mating season for many of the animals, and the sisters help with this as well. Girl Summer awakening early is why we will have heat waves in early spring. Sometimes Sister Spring will be able to get her back to sleep and other times she will not. Girl Summer loves frolicking in the summer sun. She loves to run through the wildflower meadows and on the beach. She often plays hide and seek with the animals in the forest or tag with the butterflies in the meadow. She also loves to collect shells and rocks on the beach and use them to decorate sand castles that she builds for the crabs. Often she forgets about having the rain, so many of the plants including some grass dries out and turns brown. The flowers begin to die as well because of the lack of moisture. When Madam Autumn awakens she often sees the burnt look of the end of summer. The plants cannot always survive her younger sister's heat. Madam Autumn quickly calls her friend the wind to come and help blow in the clouds. She also calls upon her friend the Rainbow Princess to help with the rain. 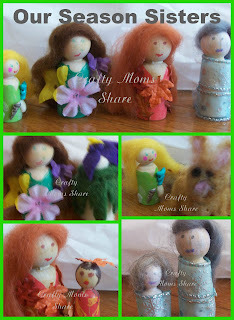 Then she gathers her fairies and gives them their painting supplies. The fairies' job is to paint the leaves all the beautiful colors of fall. Just about when they finish the trees release their leaves so the wind can blow them in circles and have fun. Madam Autumn also reminds the animals to prepare for the cold winter. Some travel to warmer places where Lady Winter will not have as much control and others gather food to survive locked up in their homes for the entire winter. Then there are those who sleep all winter long. Lady Winter long ago knitted them magic blankets to put them to sleep for the entire winter. Madam Autumn helps them get cozy under them before her older sister has her turn at the control of the weather. Insects and such often go hide in walls of buildings. Madam Autumn helps them find their way in and closes them up so they will be warm. It will be Sister Spring who releases them when she awakens. Lady Winter often tries to get control early. If she had her way it would always be cold and frozen. Sometimes you may see snow in October because of her fighting for control. Madam Autumn however never gives up on maintaining her control and if she must she involves their mother to help keep Lady Winter where she belongs. This week I am going to share Hazel's favorite version of Cinderella. This is not a multicultural post, but a reminder to always look at who is telling the story and the point of view whether looking at fiction or non-fiction. Today I share Seriously, Cinderella is SO Annoying!...The Cinderella Story as Told by the Wicked Stepmother by Trisha Speed Shaskan. Since this version is not from a different culture or country, I will not share my normal information about a country or culture. This book is narrated by the stepmother. She describes the first time she stepped into Cinderella's house having just married her father. Her father left right away on a business trip just as his new wife and her daughters are arriving. Cinderella explains he does that often. The stepmother looks around the house is disgusted to see how dirty it is. She asks Cinderella about cleaning and all four begin to clean. The stepmother gives each of them a job, but Cinderella keeps finishing her assignments very quickly and keeps talking and talking--telling stories about the mice and birds that help her clean and such tall tales. Even at dinner Cinderella just keeps talking to the point where they have to ask her to be be quiet (or shut up). One day Cinderella or Cindy as the stepmother calls her develops a case of laryngitis. This happens to be the day the invitation to the ball that night arrives. The stepmother tells her Cindy she cannot go since she is sick. Of course Cindy goes after the stepfamily leaves for the ball and marries the prince. The stepmother is happy to be rid of the non-stop talking and wishes the prince luck with his wife for when she gets her voice back. Of course she also starts telling tales about a fairy godmother turning a pumpkin into a carriage and such. As you can see this is a very different take on the whole Cinderella story. I love it because it enables us to talk about point of view and how important it is to know whose view of a story you are hearing (especially history). Another place to look at this information is statistics. As a former math teacher who has taught statistics, I always tell students to look at information about studies to see if they are truly valid. The number in a study is one of the most important things to look at and then which statistics they are giving you. The mean or average and the median or the middle number are two common statistics. They each have their own appropriate places. If your data is 4, 4, 4, 4, 4, 4, 90, the median is 4. The mean is approximately 16.29. As you can see the 16.29 is greatly influenced by the outlier point of 90. The mean however is good when you have a large sample size and do not have outliers. It is also important to comment that the mean is useful if the outliers make a difference to your data. So this book is a reminder to look at who is telling the story and if you are looking at statistics to look at the information that is given. How many data points are used? Which statistic is given? If it is the median is that because of outliers and do the outliers affect the overall study? Last week was another week full of great ideas shared. If you have not had a chance to check them out, please do so. 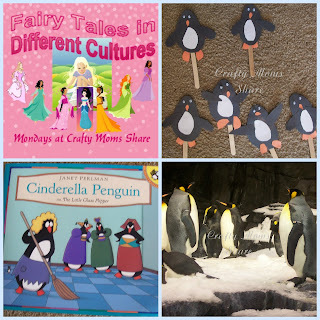 The most clicked was on There's Just One Mommy and written by Little Bins for Little Hands and was Themed Play Boxes. The pictures were all locked, so I could not get one for you. Sorry!! However here are some pictures from a few of my favorites. 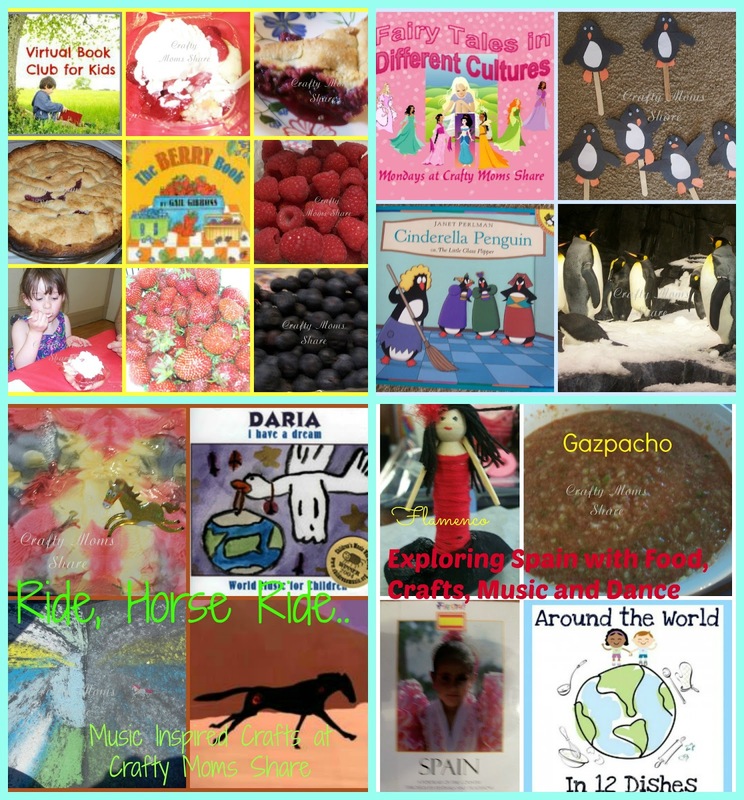 From Your Hostess: This week we had several fun activities including The Berry Book for the Virtual Book Club for Kids, Penguin Cinderella, Song Inspired Mirror Image Art and Exploring Spain Day 2 with food, music, dance and crafts. Last week I shared our first post about exploring Spain with food, craft and stories. 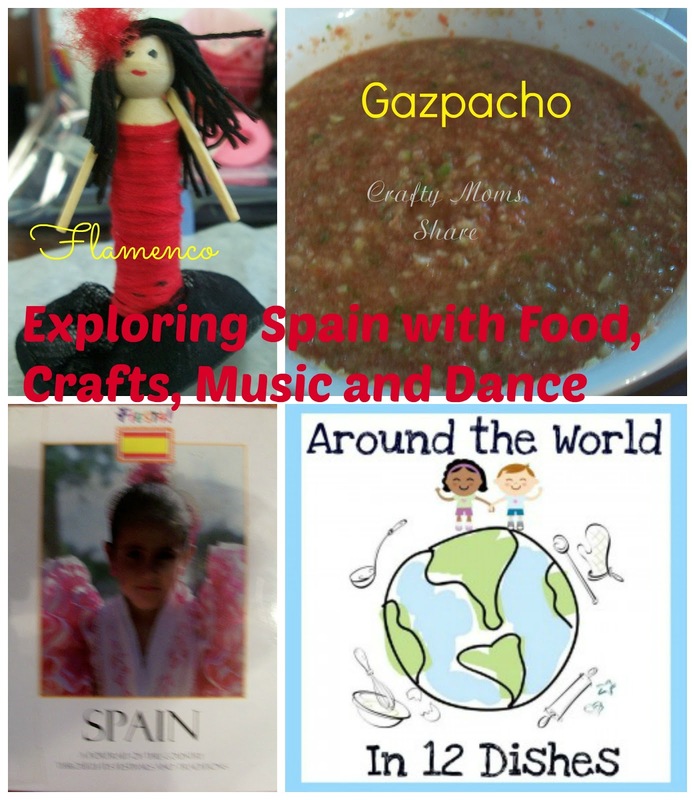 Today we decided to explore it a bit more with some music, gazpacho and flamenco dancing and a flamenco dancer craft. 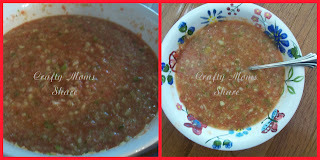 We started by making some gazpacho. 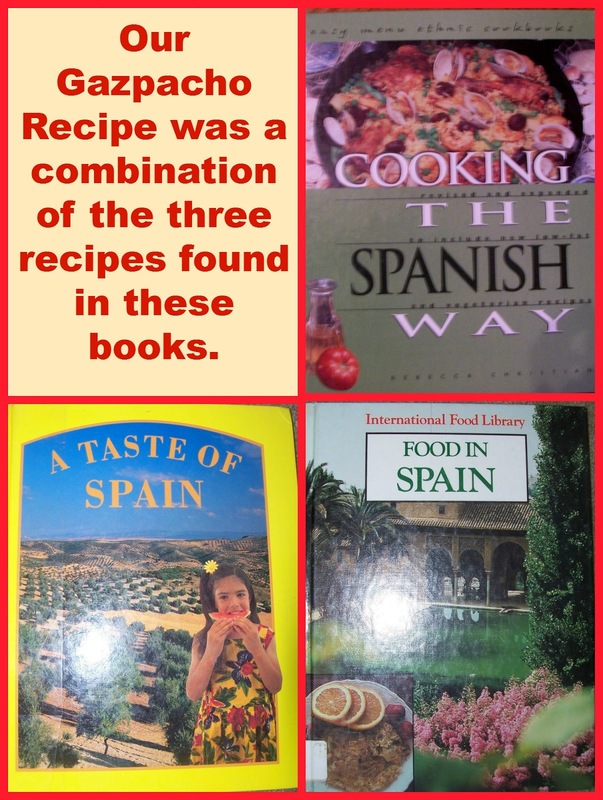 We combined the three recipes found in the same three cookbooks we used last time. Hazel enjoyed peeling and chopping the cucumber. We also pulled out the garlic press and the food processor, so she enjoyed it. She said the soup itself was all right, but really did not eat much. (The true test to whether she likes something is how much she eats. She always says things are good.) I on the other hand had two bowls of it for lunch. Put all ingredients in food processor and puree. Chill for a few hours and serve cold. 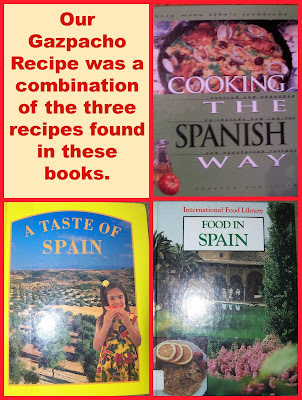 After making the soup, we read a bit more about Spain in the Fiesta Series Spain book. I wanted to read more so we could try the flamenco dance. Hazel loved doing this. We pulled out the fan we made last week as well as the one we bought in Epcot and her to castanets. 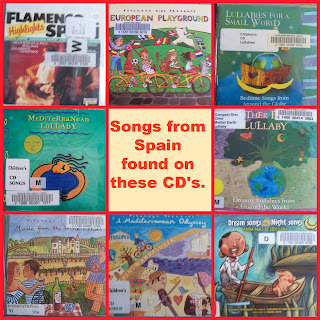 Then we danced around the house to a CD of Flamenco Music from Spain that we got out of the library. 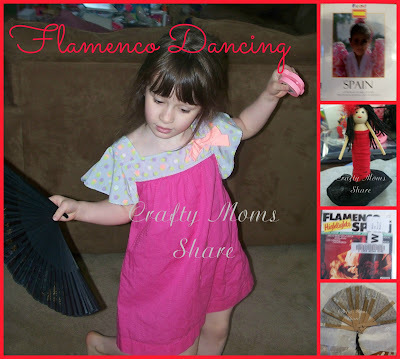 Hazel really wanted to do a craft today as well, so we made a flamenco dancer clothespin doll. I found the instructions at Making Friends. Hazel really enjoyed wrapping the string for the dress. 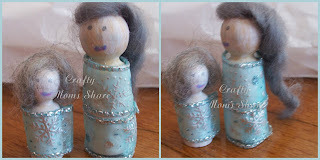 While making this craft, we continued to listen to the Flamenco CD. 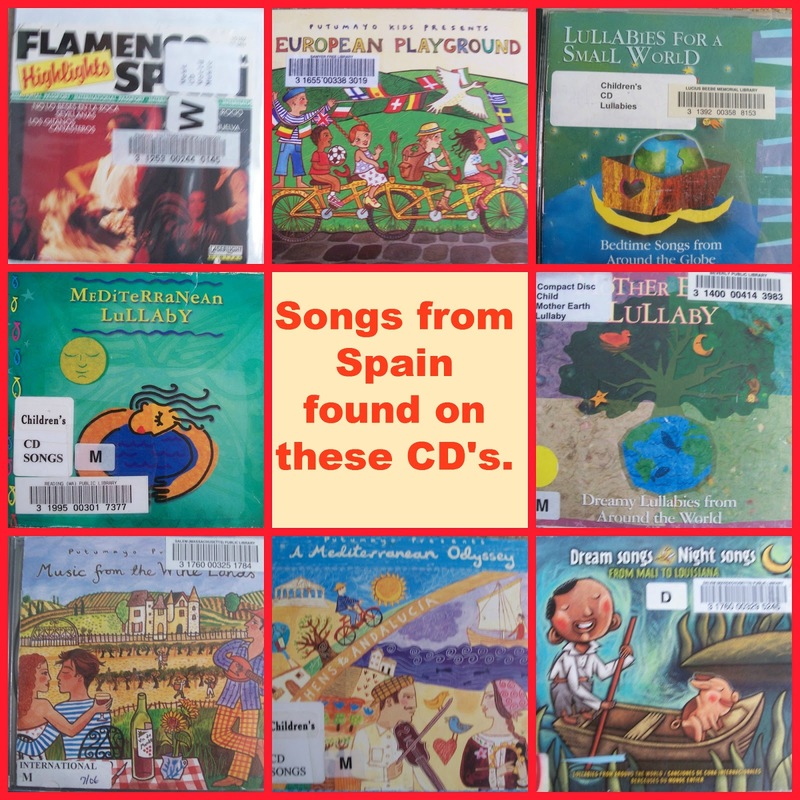 Then t we listened to a playlist of songs from Spain from these CD's. Overall we had fun learning a bit about Spain! Next month we will be "traveling" to Kenya. I hope you will join us! 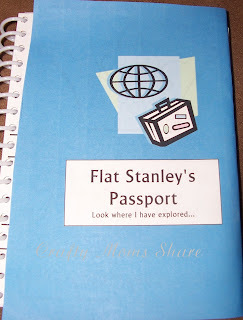 Plus next week I'll have a fun craft I found to keep track of all of these adventures. You also can check out these amazing posts or add your own Spanish adventure here. Last week I shared our first music inspired art/activity post. 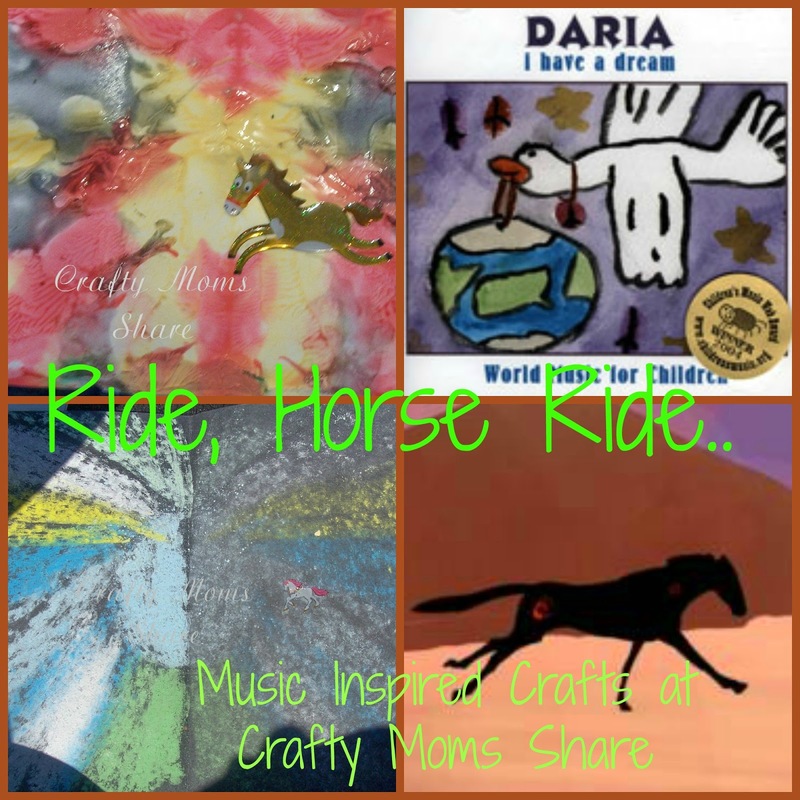 This week, we are sharing another song inspired art from the same CD, I Have a Dream by Daria. The song this week is among Hazel's favorites. It is called Ride, Horse Ride. First I am going to share with you the song via Daria's video. Now this song is rather simple and has a fun beat. Daria e-mailed me a wonderful idea of making a Pow-wow Drum to play while listening this song. We have not done this yet, but I hope to. 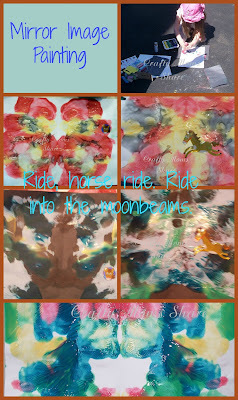 We however worked on mirror image paintings and chalk drawings for the sun and moon beams and then put horse stickers on them. 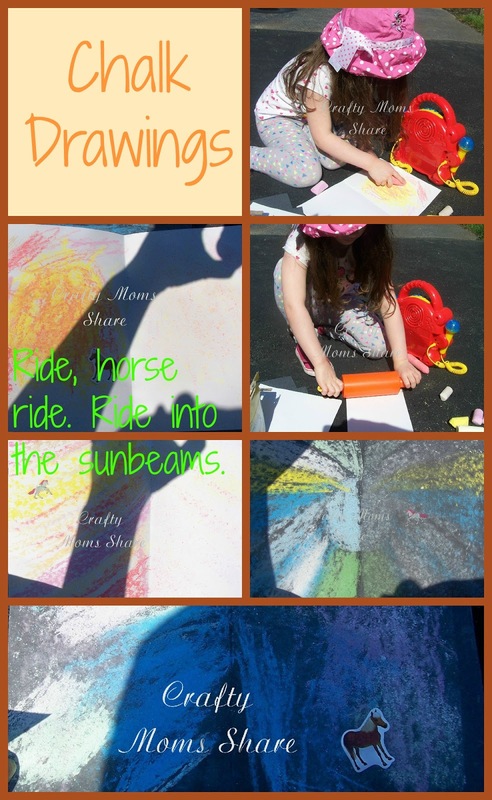 We started with chalk drawings. We folded a white piece of paper in half and then used sun colors: red, yellow, orange, white and colored on half the page. Then we folded the page and used a rolling pin over the paper to try to transfer the chalk to the other side. It did not transfer as much as we hoped, but we had fun with it. 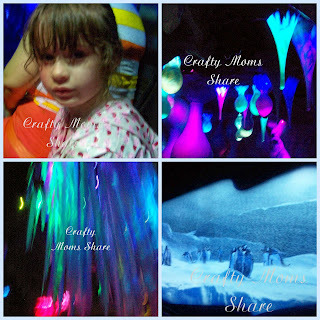 We repeated this activity with black paper using moon colors: blue, white, green, yellow. Then we put small horse stickers on them. Next we used some paints. 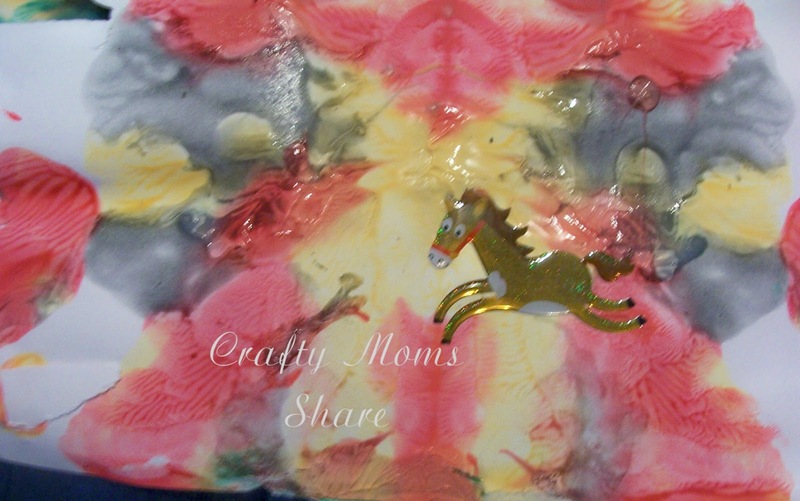 We used washable finger paints and a few colors of acrylics. 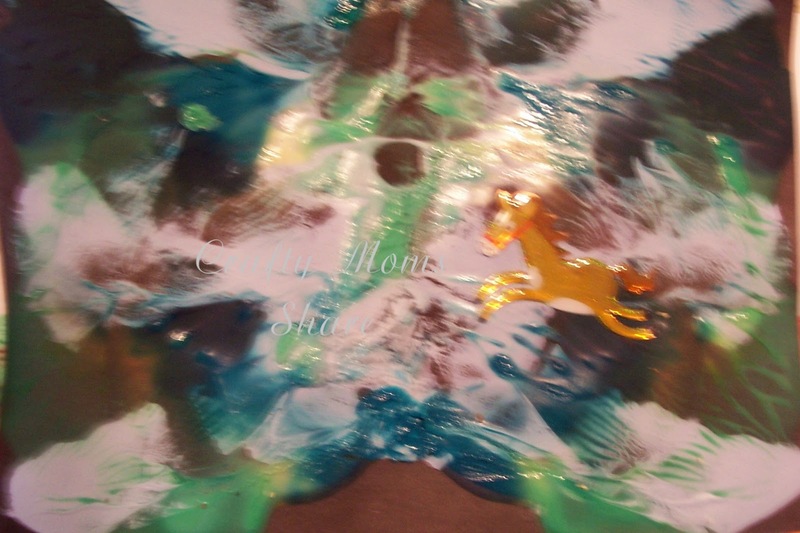 We used too much paint on each picture. They are going to take days to really dry. However Hazel really enjoyed this. Again we folded the paper in half and put paint (drops) on one side. This transferred much better to the other side. (In fact for those looking for a lesson there is a fractal lesson I once did with this type of painting. 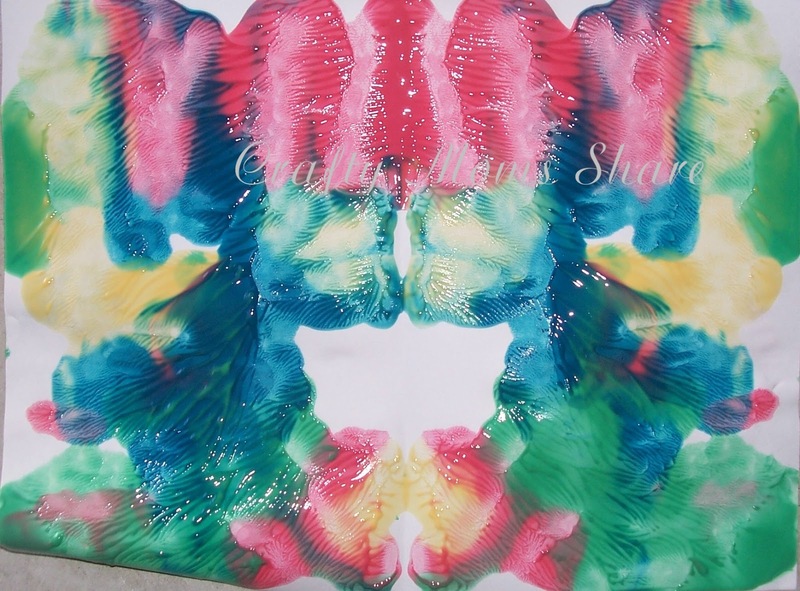 The transfer process puts lines into the paint and they form a type of fractals.) Next we went and put horse pictures on them. Hazel decided which one got the big stickers and we had horse head stickers for the other ones. 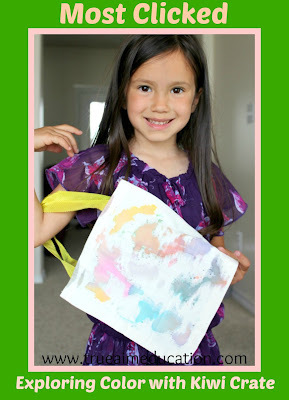 Hazel also made one extra painting with all the colors of finger paints. While making the drawings and paintings we were listening to Daria's CD and Hazel enjoyed singing into the microphones on her portable CD player. She knows all the words to all the songs so she was having a blast. 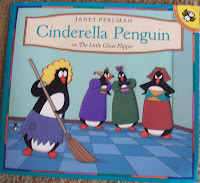 So a few days late, but this week our Cinderella story is not really a multicultural one, but it is called Penguin Cinderella or The Little Glass Flipper by Janet Perlman. It is really just the traditional Cinderella story written with penguins as its characters. 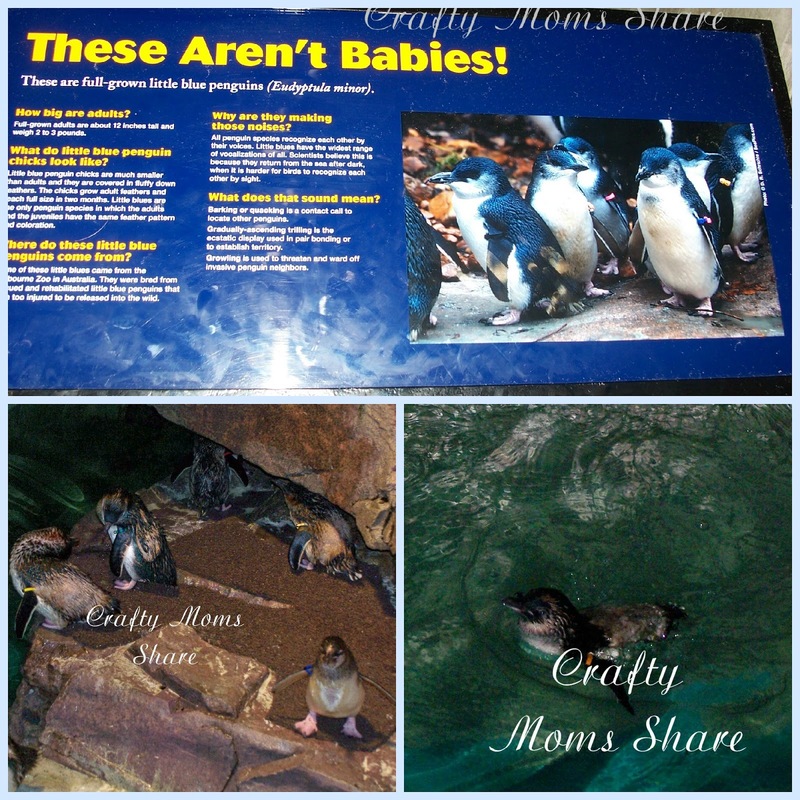 I thought it would be a fun time to share some facts about Antarctica and the penguins we have seen at Sea World Orlando and New England Aquarium. 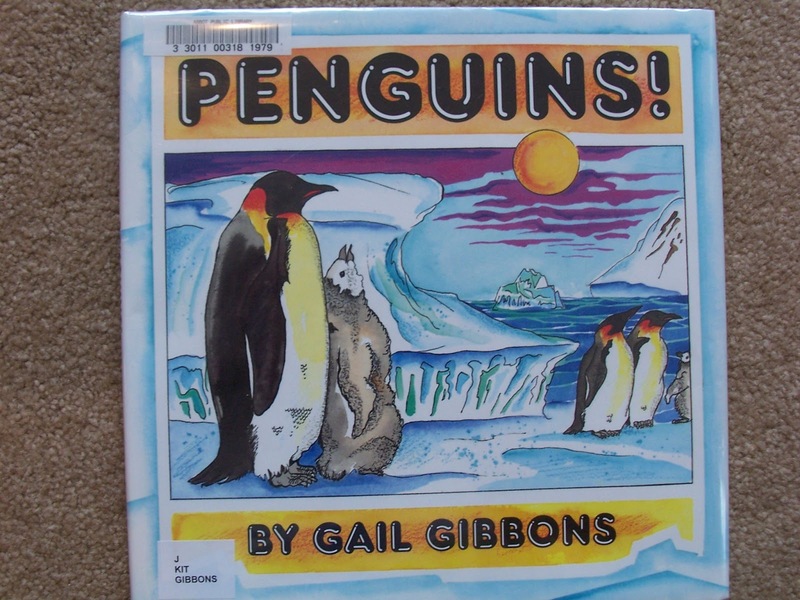 I will also be using Penguins by Gail Gibbons (Virtual Book Club for Kids author of the month) as a source! Antarctica is the southernmost continent and contains the South Pole. It is the coldest, driest and windiest continent in the world. It also has the highest elevation. It is considered a desert due to the minimal amount of precipitation. The temperature has reached −129 °F. There are no permanent human residents, but many people reside there throughout the year at research stations. About 98% of Antarctica is covered by a sheet of ice averaging 1 mile thick. 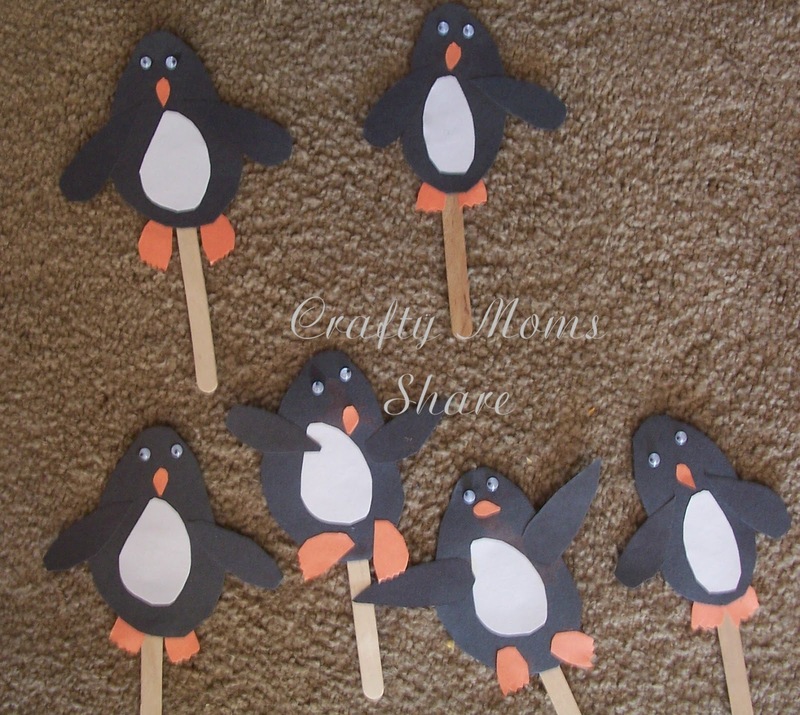 There are seventeen different kinds of penguins. The smallest is the Little Blue Penguin (also called the Fairy Penguin) and the largest is the Emperor Penguin. 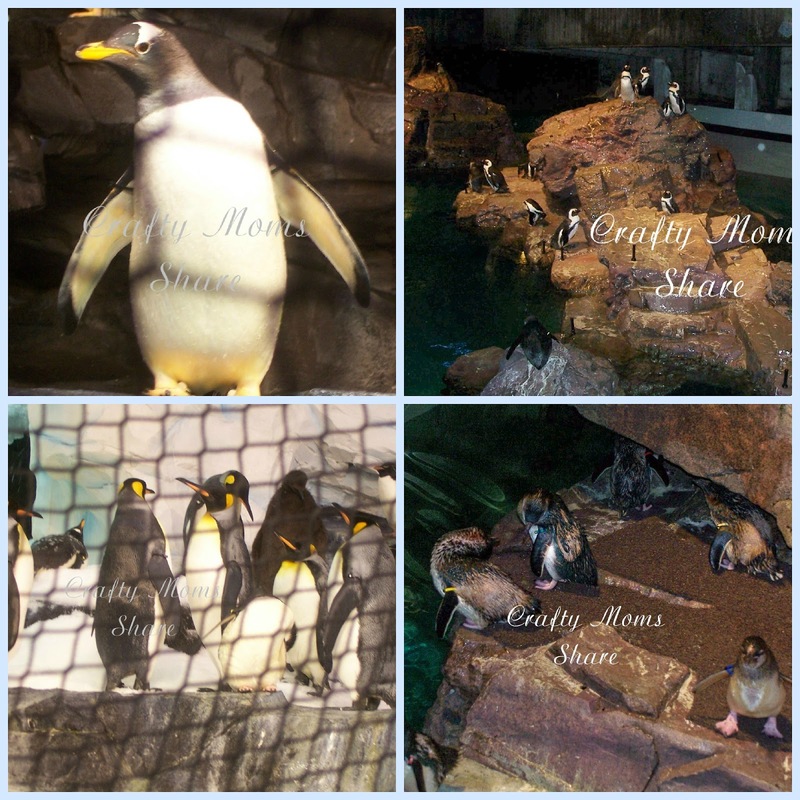 All penguins have black or bluish-gray backs and white bellies. They all have the same basic body shape and characteristics. The Adelie and Emperor Penguins never leave Antarctica. Others live in New Zealand, Australia, South Africa, South America, and the Galapagos and other islands. 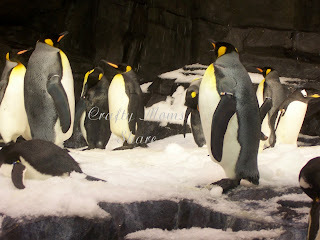 All penguins are birds, but they cannot fly. Over time their wings changed into flippers to aid in swimming and hunting for their food. They are excellent swimmers and divers. Larger penguins can swim faster than 25 miles an hour. Groups of penguins may stay in the water for weeks at a time. 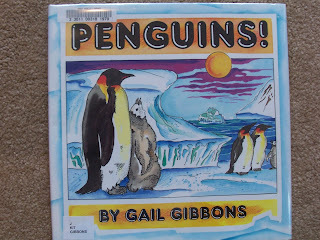 Their natural enemies are fur and leopard seals, sea lions, sharks and orcas (killer whales). Before going into the book, I want to share our experience on the Antarctica ride at Sea World. Now the first day we went to Sea World, this new exhibit had a two hour wait. With a four-year-old and twin five-year-olds with us, we did not wait two hours. Hazel and I went back for a second day in the rain and the wait was only fifteen minutes. We did wait this time and it was worth the fifteen minutes. I am not sure I feel it would be worth a two hour wait. When you get in the first room you see a short film about a penguin hatching from the egg. You then follow this penguin chick through his life as he grows up a bit. The next room is where you decide which ride you want. There is a mild ride and a wilder ride. We went on the mild one. From what I could tell, the wilder one turned more and bumped around a bit more. The ride is suppose to give you the sense of what life is like in Antarctica. There is even a cold spot supposedly, but the only place we felt cold was when we were in the penguin exhibits. During the ride you see more short films about the life of the penguin including a blizzard hitting. 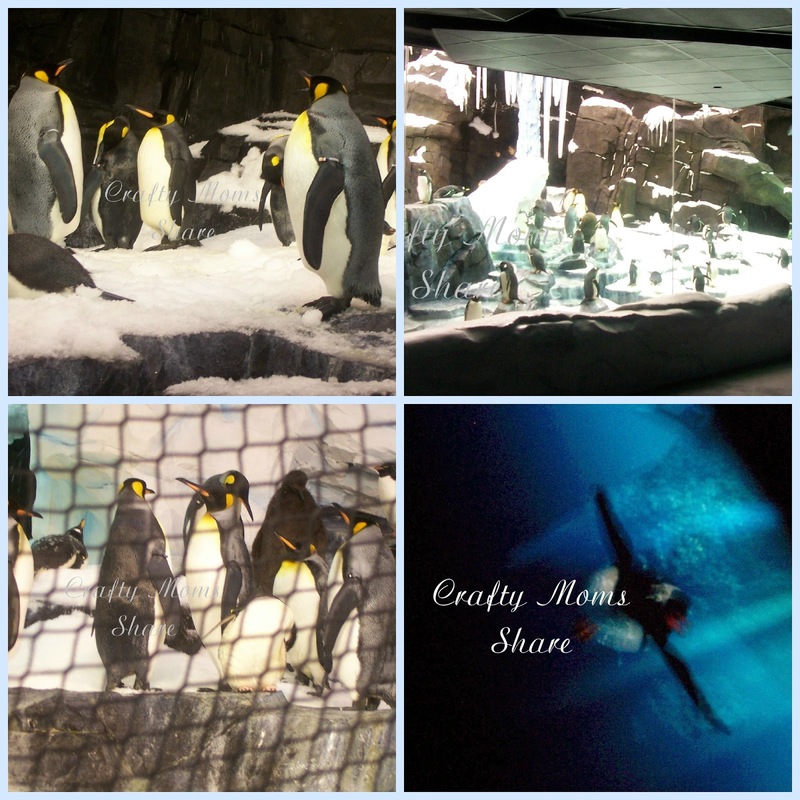 Then when the ride is over you are literally only a couple of feet away from live penguins. There are places to see them underwater and places to seem them above. Sometimes there was a glass wall between you and other times it was a plastic fencing that did not go all the way to the top. It was so neat. This to me was the best part of the whole ride. Now onto our story. 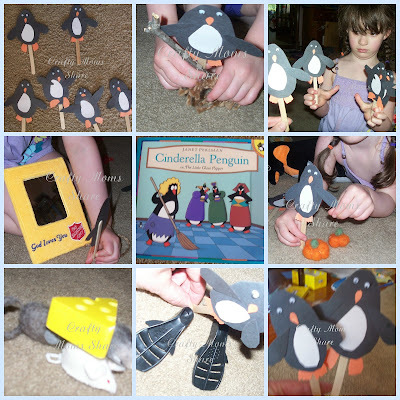 So in this story Cinderella is a penguin. She is a good penguin. In the book she has gold hair. 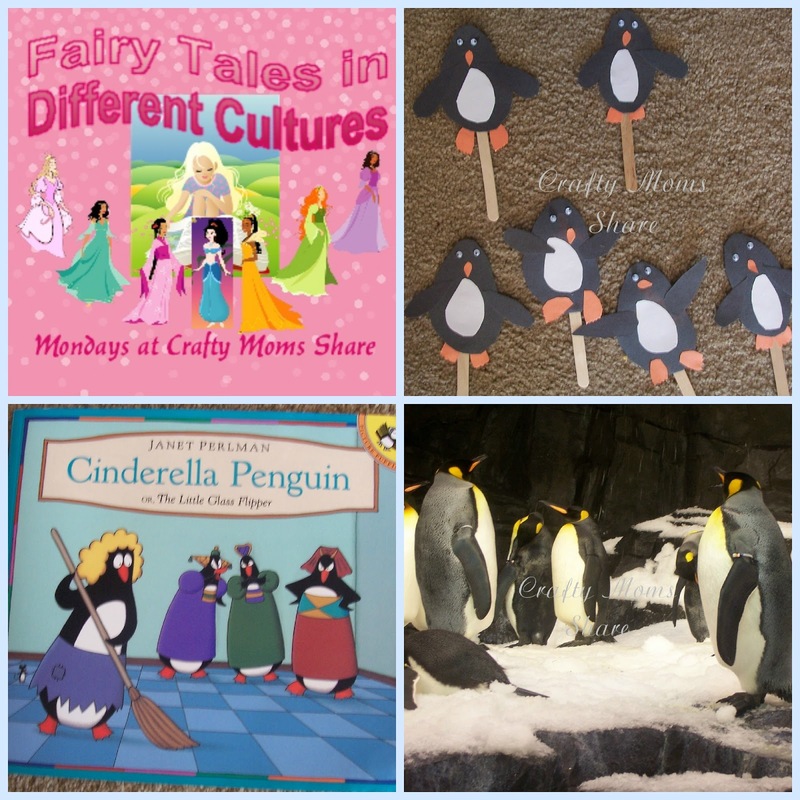 Her stepmother and stepsisters are also penguins. The stepsisters get to wear beautiful clothes and sleep in luxurious beds. Cinderella is given rags and sleeps in the cold cellar on a shelf next to some tin plates. Cinderella does all the housework including picking up after her stepsisters. One day an invitation arrives to the Penguin Prince's Costume Ball. The stepsisters have new costumes made and spend much time looking at themselves in the mirror. Cinderella would like to go, but her stepfamily just laughs at her saying the prince would never want to meet someone like her. The day of the ball Cinderella helps the stepsisters get ready and then without a thank you or goodbye their carriage leaves and Cinderella is left alone. She begins to cry and the little blue fairy penguin comes and asks Cinderella why she is crying. She tells her to go get a pumpkin so she can go to the ball. (Ok, first spot that we know this story does not take place in Antarctica since pumpkins cannot grow there.) The fairy turns it into a beautiful coach. Then she finds six mice carrying a hunk of cheese (we only had three). She turns the mice into horses and the cheese into the coachman. Then she turns Cinderella's clothes into a beautiful gown and glass flippers. (We used our Sea World Animal Rescue Barbie doll flippers.) Cinderella goes to the ball with the warning that she must leave by midnight. She dances all night with the Prince Penguin and all of a sudden it is almost midnight. She runs off and leaves behind one of the glass flippers. 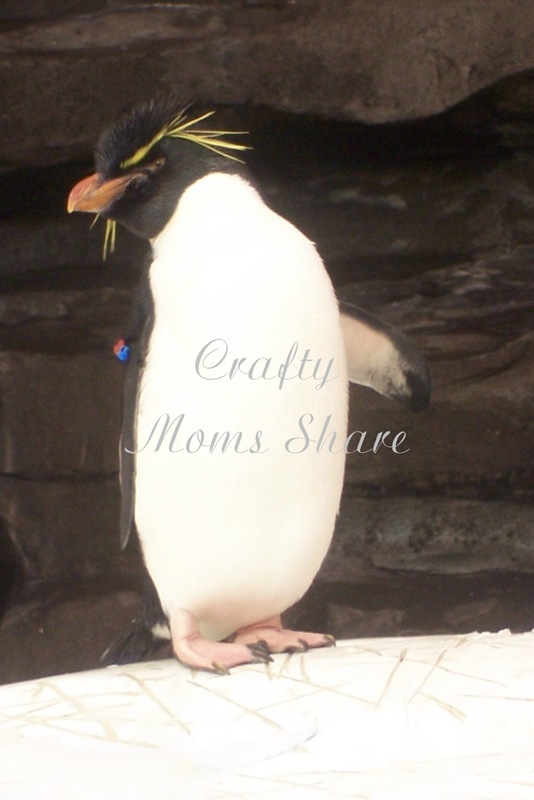 The prince will only marry the penguin whose flipper fits in the glass flipper. Everyone tries it on, but the glass flipper is too small. Then Cinderella gets her turn and of course it fits. She marries the prince and they live happily ever after. 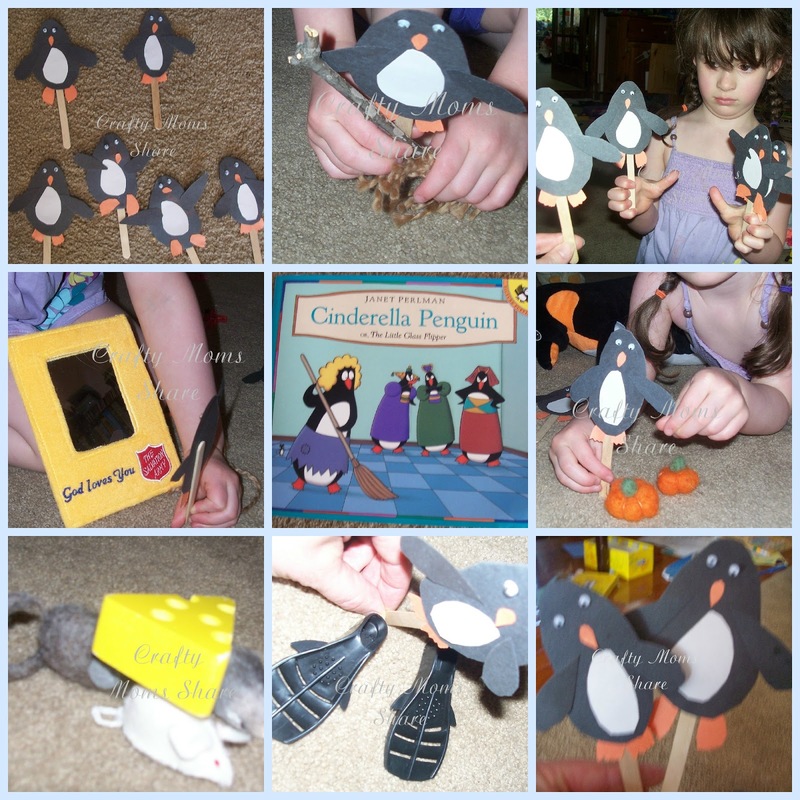 We made the penguin puppets and acted out the story with some props. The puppets are just construction paper and googly eyes glued to popsicle sticks. 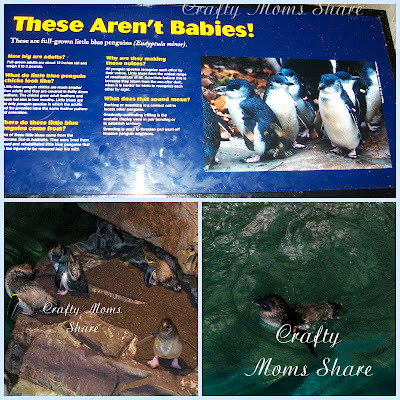 We did not dress them or give them hair, but kept them more natural or how we saw them at Sea World.